Are you looking for the best way to store something? Maybe you need ideas on how to pack glass, stack cartons or simply label your stored items. Here are some simple ideas that you may find useful. The Box Thing from Apartment Storage Systems is an onsite storage solution. Do you need more storage? Are you sick of having to store your goods in a shed down the street? The Box Thing is an aluminium storage facility that is placed at the head of your car space. The unit is elevated on legs allowing your vehicle to park as it was intended. 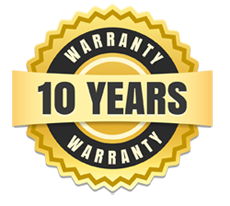 With a load capacity of 800kg and a 10 Year Warranty every garage should have one. The Box Thing units can be free-standing and are very stable. This means they are ideally suited to “open area” car spaces, as well as those adjacent to garage wall. It also means that there is no potentially damaging attachment to common property. When placed in the “open area” such as the center of your car park, Apartment Storage Systems product range helps delineate the car spaces. They can be placed back to back or as a continuous run using shared walling. The units fit wholly within the designated car area and do not intrude on any other designated or common area. All The Box Thing units are height adjustable, which means all variation in floor levels, and all car sizes can be accommodated. This will allow our product range to be adopted as the preferred unit throughout a building. The resultant uniformity enhances the value of a building. Storage is gained without loss of valuable car space. When installing our storage systems, we always ensure that access to, or operation of service of and safety fittings/devices (such as sprinkler heads and electrical panels) is not compromised. If the owner of a unit in the rental pool requests installation of an over bonnet system in their car space, we set it to maximum height to ensure any guest vehicle will fit (eg 4WD). Although the involvement of Body Corporate Committees varies from building to building, we presume that your committee will want to be directly involved to ensure a uniform and high quality solution to what is an ever present problem – storage. To aid the Body Corporate with this we offer an obligation and cost free service. Our representatives on request will check measure all car spaces and storage areas to provide a detailed report to the Body Corporate outlining the best form of storage for each car space or storage area. We than provide a standard application form to the management staff and or Body Corporate. This form outlines the requirements of the applicant and by using the report provided, the management staff and or Body Corporate can process the application with ease. This form once approved by the Body Corporate or relevant staff can than be used by the applicant as an order form. The ultimate goal of this process is to work with the Body Corporate while streamlining the approval process. Do you have to many clothes in your wardrobe? Try separating your Winter clothes from your Summer clothes and store the ones you are not using. The best way to do this is to place your un used clothes into vacuum bags. Simply sort as required, attach the vacuum and watch them shrink down to a more convenient size. You can now place the Summer / Winter clothes in The Box Thing until you need them. Please remember there are charities that will accept donations of clothes that you may no longer want. As we all know rodents are very effective at getting into even the smallest of spaces and its usually when your rumaging around through that pile of old boxes that you find them. So how do we prevent them from getting into our stuff? Firstly we need to understand that these creatures are very nimble and will chew through cardboard and even timber to find food or a warm place to nest. Second, the most effective way to prevent rodents getting into your stored goods is to ensure your items are stored in boxes or containers that they can not penertrate. For example plastic, steel or aluminium boxes. These boxes will need a good lid as Rodents can make their way through very small spaces. Another alternative is to take items stored in cardboard boxes and place them in a larger rodent proof storage box like The Box Thing. Glass can be a difficult item to pack. There is nothing worse then unpacking and finding your favourate set of wine glasses is now less one. Take an old newspaper, scrunch a page at a time and stuff it inside the glass object until it is full. Then wrap the outside in 1,2 or 3 pages thick of newspaper. You can also add scrunched up newspaper between the items as they are packed into the storage boxes. Items that you may need again in the short term should be packed last, as they will end up on the top of the pile and be easiest to access. Heavier items should be packed first so the be at the bottom of a stack. If a box is only half full but is heavy, consider leaving it half full. this will help when handling the box later. By sorting things into categories they will be easier to find later. Also remember to label everything.